While the crew works to recover a stolen probe, B'Elanna seems disinterested and emotionally distant. But when her friends discover a propensity to self-harm, things get more serious. 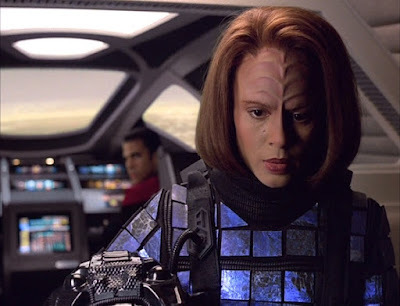 B'Elanna shows a distinctly uncomfortable look while wearing James T. Kirk's skydiving hand-me-downs. Who knows where this has been? A transporter accident fuses some of Seven's nanoprobes with the Doctor's holoemitter. The result is a hybrid Borg drone built with 29th century technology. Can the crew integrate this drone into their collective? 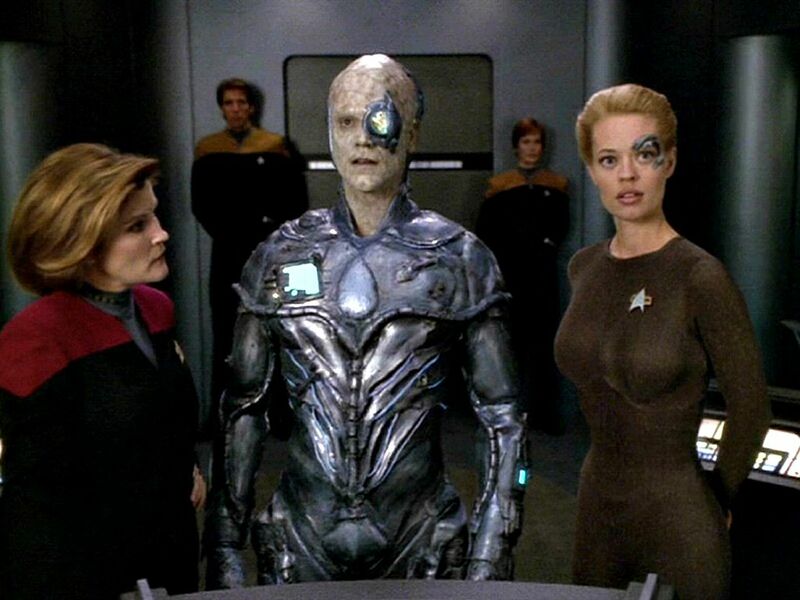 And what happens when the Borg find out?